William S. Quisenberry’s will in 1835 bequeathed to the trustees of the Protestant Episcopal Church in Port Royal, Lot 11, on which St. Peter’s was erected in that year. The first service was a baptism in December and it has never closed since, being used continuously for worship. 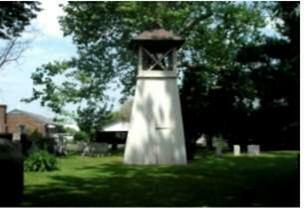 It was approximately the eighth church structure within St. Mary’s Parish. 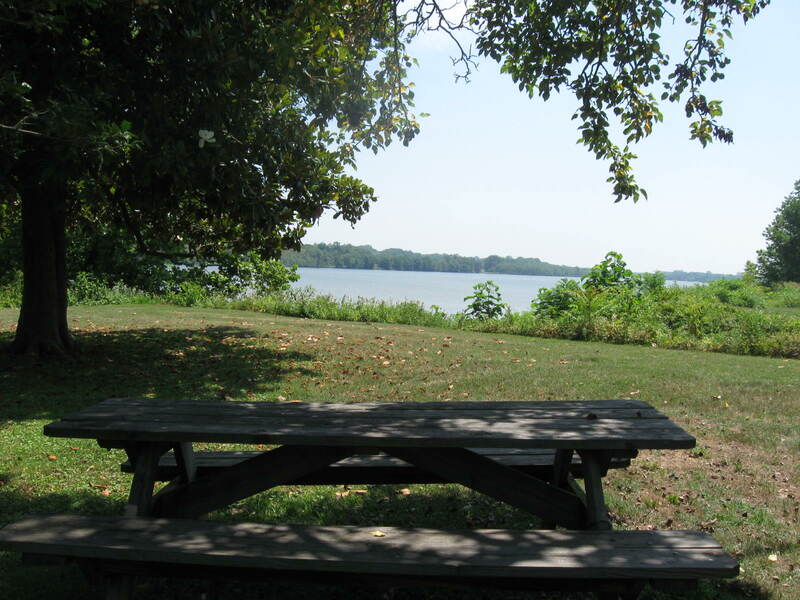 Formed in 1677, the parish originally included an area on both sides of the Rappahannock River but was separated in 1713 to the south side only. 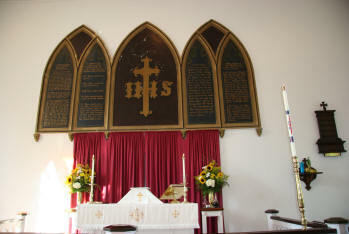 The church’s architecture, a mixture of Gothic and Greek revival, then prevalent styles, also has Colonial features including hinged pew doors and wall tablets. St. Peter’s is one of few post-Revolutionary churches to maintain its Tablets of the Law, Prayer and the Creed. The brick building, stuccoed over, is in excellent condition. 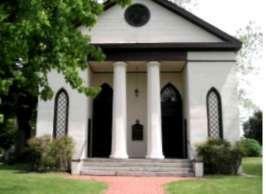 There is seating for approximately 150 persons in boxed pews. Most of the brasses and other furnishings were memorial gifts. The large central chandelier was removed from a 19th Century mansion in Richmond. The church was twice a victim of fire. In 1849 it was pretty well gutted. The 1850 organ and bell were installed in the reconstruction following that fire. 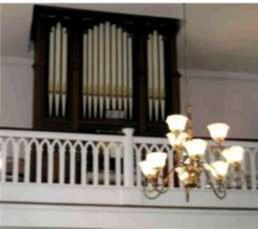 George Stevens of Cambridge, Mass., installed the organ, in a loft at the rear of the sanctuary; one of about 850 he built in the United States, twelve of those in Virginia. 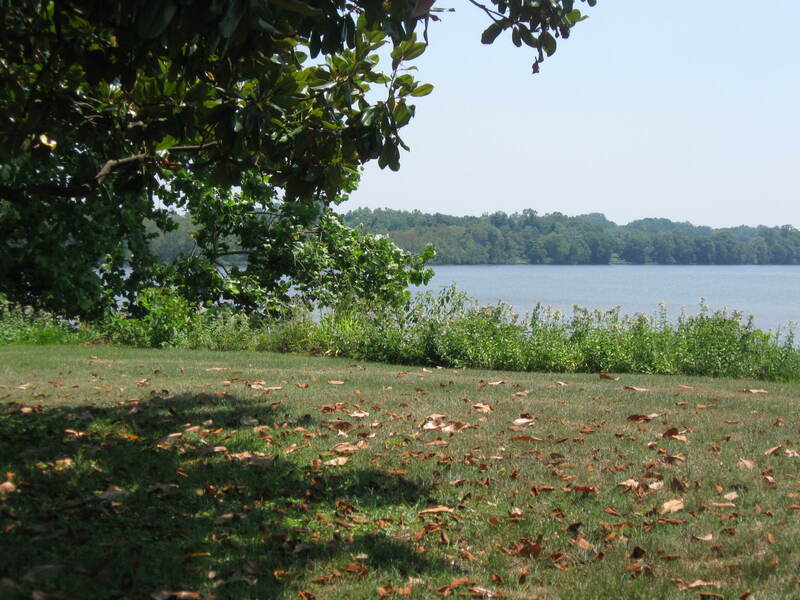 It is now the only one left in Virginia, and one of about twelve left in the nation. The organ, with 500 pipes and 9 stops, has “tracker-action”, a type with very little to breakdown. It was restored in 2000. Beyond the main sanctuary but under the same roof is the sacristy, plus another small room with sink and toilet facilities, mostly used for flower preparation, but in the past this room has also served for the Sunday School. St. Peter’s first Rector, the Rev. William Friend, served for thirty-five years until his death in 1870. His was the first burial in the churchyard. During the years of the Civil War he lived in the practically deserted village, holding services nevertheless, and also serving as Chaplain for several Confederate brigades nearby. The next two rectors, the Rev. James Edward Poindexter and the Rev. Sigismund Stribling Ware served sixteen and thirty-five years respectively. After about a dozen others, another notable rector was the Rev. Ralph Emmett Fall, who retired in April of 1982 after serving as Rector of the Cure’s three churches (St. Peter’s, St. Asaph’s, and Vauter’s) for twenty years. We are indebted to him not only for this faithful ministry, but also for his accomplishments as author and historian, particularly in this area of Virginia. His lovely wife, the daughter of an Episcopal clergyman, has great skill as an artist and musician, having served as our organist for many years. Their son and daughter, now grown, were reared primarily at the Rectory in Port Royal. The Rev. Karen Woodruff, served for seven years prior to her retirement. The Rev. John Wall served St. Peter’s as the Priest-in-Charge for five years prior to his retirement in 2009. In 1876 the Vestries of St. Peter’s and of Grace Church, Corbin, VA purchased the Thornton house behind St. Peter’s for a rectory. The Rev. 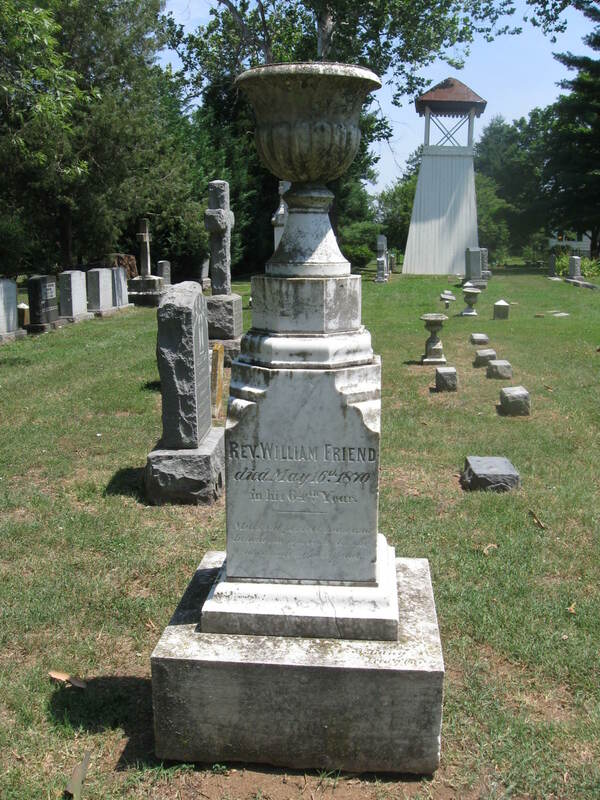 Mr. Poindexter, second Rector, and his family were the first to occupy it as such. It remained jointly owned until 1903 when St. Peter’s became the sole owner, though it was also supported by rent from the two other churches — during the time it was a three church cure. One of the oldest houses in Port Royal, it was erected in two periods; its oldest 1 ½ story section about 1740, the front two-story section about 1840. The frame house, with end chimneys and a columned front porch, is painted white with green shutters. The downstairs includes a large living room with fireplace, built-in bookshelves, and a beautifully carved mantel; a large dining room with paneled wainscoting; a kitchen, a bathroom and a hallway from front to back. Upstairs where are three bedrooms (one small with large storage cupboards), hall closet and full bath. Under the oldest section of the house is a full bricked-in cellar with hand-hewn beams marked with Roman numerals. The windowpanes, doors and hardware are all very old, most of them original. What is thought to be an old kitchen in the yard was remodeled in 1966 into an artist’s studio used by the then rector’s wife. 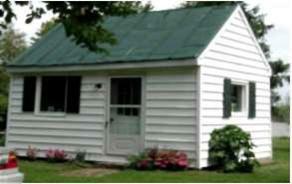 It could be adapted to many uses—an office, storage place, or even a playhouse for children. It us now used as a Sunday School for the children. It is a charming property, with well-planted borders and beds, trees, flowering shrubbery and direct access to the river.